How long do you think you could stare down the business end of a loaded pistol without looking away, blinking, or maybe laughing just to dispel the tension? How long do you think you could stand having a loaded revolver pointed at your head without either breaking into a cold sweat or possibly trying to run away, knowing that no matter how fast you run, a bullet is always profoundly faster? Naturally, this is an existential question. Very few people ever experience something like this unless it’s at the movies or on a tv show or in a dangerous fantasy. Still, this is how writing Relentless felt to me. From the moment I started with the first few lines, “relentless/as a hum,” I knew I was going to be in for the ride of my life and don’t kid yourself, writing twenty pages of poetry is not like strolling through an English garden just before high tea. Especially, when it’s twenty pages of something that will become part of DILLINGER. I had written poems about Baby Face Nelson before. 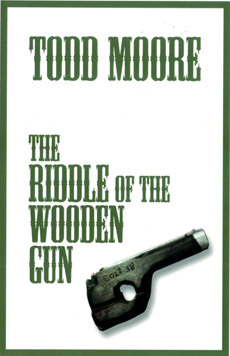 Russian Roulette stands out as one of the key sections regarding this character. But, I had never successfully gotten inside Baby Face’s head. Never really crawled back into the essence of that primal darkness before. And, I wanted to. Or to put it another way, I had to. I knew Dillinger inside out. The Name Is Dillinger, The Sign Of The Gun, The Corpse Is Dreaming are all very important ways of knowing and dreaming myself into John Dillinger. 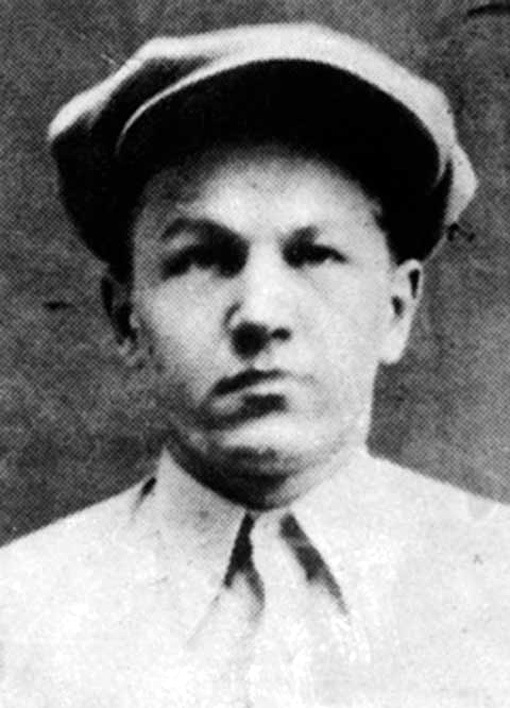 But Baby Face Nelson. I only knew him from the outside in. Never the other way and it became increasingly clear that this is the only way worth knowing anyone. It doesn’t matter if it’s Raskolnikov, Hamlet, Ahab, or one of Jim Thompson’s monster sociopaths. Somehow just saying a character is a homicidal maniac doesn’t cut it. You have to inhabit the skin and the dreams and that’s what I set out to do. In Relentless what you are looking at is a man who is beginning to unravel. Beginning to come right apart at the seams. Suddenly, he is confronted with several dilemmas. Up until this poem, he has functioned, he has been in control. But, now, in Relentless he is finally confronting the demons which have made him so scarily lethal. He is starting to realize that he is a latent gay. He also realizes that he is, against all the logic or anti logic that holds him together, falling in love with Dillinger who is just about as straight as anyone can be. And, he also knows that he is tremendously jealous of Dillinger’s fame. Baby Face knows that Dillinger has a kind of dangerous charisma, something that Baby Face will never have, but desperately wants. So, it is all of these things merging with Baby Face’s murderous impulses that meet and collide in Relentless. And, it is in this way that the poem twists and plunges down page after page almost like one extremely chaotic flow of interrupted thought. Or, as an onslaught of a hundred plus thoughts streaming through Baby Face while he struggles with his personal demons, flies that only he can see, flies that threaten to invade his mouth his eyes, his entire head. And, he has all he can do to keep from waving them away. If Relentless is anything it is Baby Face Nelson’s frenzy poured into the pages of this poem. And, frenzy is anything but rational. This is the fury of a man who has always seen himself as the major american criminal of the Thirties. And, what he can’t bear is to see Dillinger embody the dream that he has been having about himself. Which is somehow becoming the dark heart of the american dream. Important, immortal, The Great American Outlaw. And, the fact that Dillinger has suddenly become as famous as a movie star and also someone that Baby Face is torturously in love with is enough to send him to the edge of whatever control he had over himself up until now, the angst of this moment. Relentless offers no real denouement, no solution to Baby Face’s dilemma. But what it does is explode into a kind of volcanic death song, a molten lava display of what Baby Face may have been suffering through. 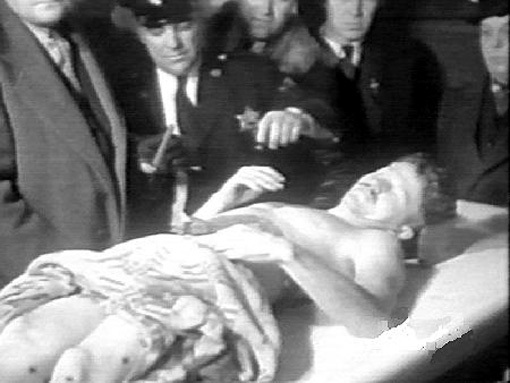 Historically, what we know about Nelson is that when he was finally brought down by FBI agents, it took more than a dozen bullets to end his fury and his life. But not before he killed every man who was shooting at him. The way Nelson felt is probably on the scale of Ahab’s rage at the white whale. Only Ahab wasn’t necessarily sexually attracted to the white whale. Nelson’s pile driving frenzy can also be compared to Raskolnikov’s anguished questionings, to Hamlet’s desire for revenge, to Achilles’ fury outside the walls of Troy. And, nothing can bring an end to this kind of fury short of death. There is no redress for this state of mind unless it is murder. While I was in the middle of writing Relentless I could feel what Nelson must have felt. I could feel the pulsing, humming, miniature scream building up inside. It became a part of the nervousness of each word, maybe each pause, each breath. This is a homicidal scream there are no words for. This is the silence at the end of any of Hamlet’s key soliloquoys where he could have made some unimaginable sound with his mouth. This is the kind of silence at the end of WAITING FOR GODOT or ENDGAME where the audience as well as the actors know that this is the end of something profound, breath, eye blink, an unaccounted for twitch. I could feel that and I could feel the way that Baby Face must have moved while these thoughts were pouring through his brain. His pointless pacing, his throat clearing, the dryness in his mouth, the held back growl. The way he must have been shaking all the way through the core of his skin and blood. The chill and futility of everything, of the nothingness of everything. Many years ago Mikhail Bakhtin invented the idea of polyphany in the novel. He used Dostoevsky’s novels as examples where each character speaks in his own particular voice and style. And, I can see how he reaches that conclusion. But beyond Bakhtin, I can also see where each part of a long poem can also demonstrate polyphany. Even more than that I can see where, if the poem is long enough, as in DILLINGER, each section or text can also carry within it a separate consciousness, a peculiar way of thinking or thinking against thinking all of its own. Textual consciousness is where Hamlet survives. Textual consciousness is where Joseph K survives. 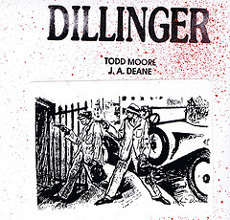 Textual consciousness is where Dillinger survives. Baby Face burns there in the hellishness of language forged with darkness and fire. And, it is a fire that never goes out.